Give Haiti grants as help, not loans. Haiti does not need any more debt. 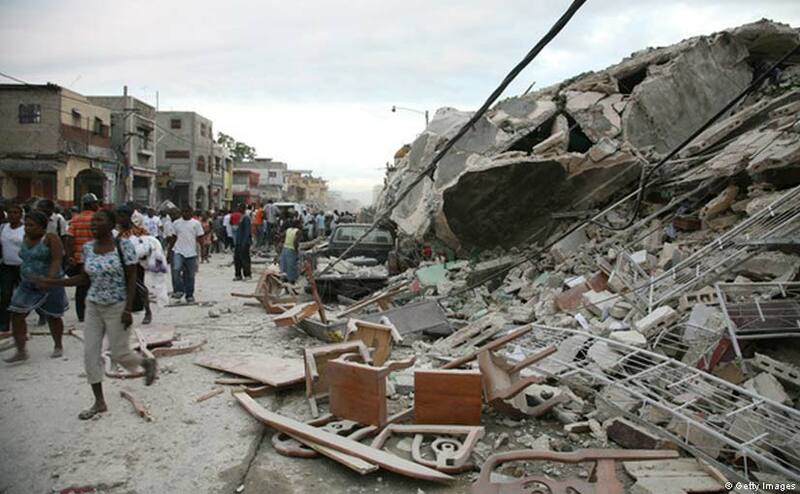 Make sure that the relief given helps Haiti rebuild its public sector so the country can provide its own citizens with basic public services. This entry was posted in Current Events, Global Activism, Haiti, International Aid, Poverty, Women's Issues on January 15, 2010 by Rabbi Brant Rosen. All are on targest, but the one I liked best was the recommendation we apologize for Rush Limbaugh’s and Pat Roberston’s comments. On the other hand, I am gratified that so many Americans are outraged at both. This is a great list, and I’ll be adding a link to it at my own place. 100% of collected funds will go directly to aid the victims; the Jewish Federation will not deduct any administrative costs. I thank your piece on Haiti and reminding us that a disaster can be used by the government and business to further oppress those that are suffering. I think there are three other very important things to consider during this crisis. 1. It was Haitians that led the first anti-slavery revolt that successfully threw out the French from what was at that time the richest colony in the world. Haitians for hundreds of years have been harshly punished for their audacity to make a point to all oppressed peoples who dared to challenge their lot. 2. Jewish organizations often play into the situation treating it as a onetime natural disaster that requires a monetary band-aid rather than a systemic problem supported by hundreds of years of repressive international policy. There is no reason so many people should have died. If an earthquake of the same strength had hit San Francisco, the death and destruction would have been a fraction. We need to take this opportunity to learn more about why Haiti has been so seriously underdeveloped, and how we can support substantive change. 3. We cannot and should not buy into the image of Haitians perpetuated by some in the media as a hopeless case. One of the great contributions of the Jewish people is our understanding of the importance of holding open the window of hope for the future for every people. We can and will make things right and good. 4. President Obama has granted Haitians living in the U.S. Temporary Protected Status enabling them to get papers that enable them to live legally for an extended period of time. It is significant that he did not hesitate to use his executive power. Now, he must be encouraged to build on this and go the full nine yards for comprehensive immigration reform.